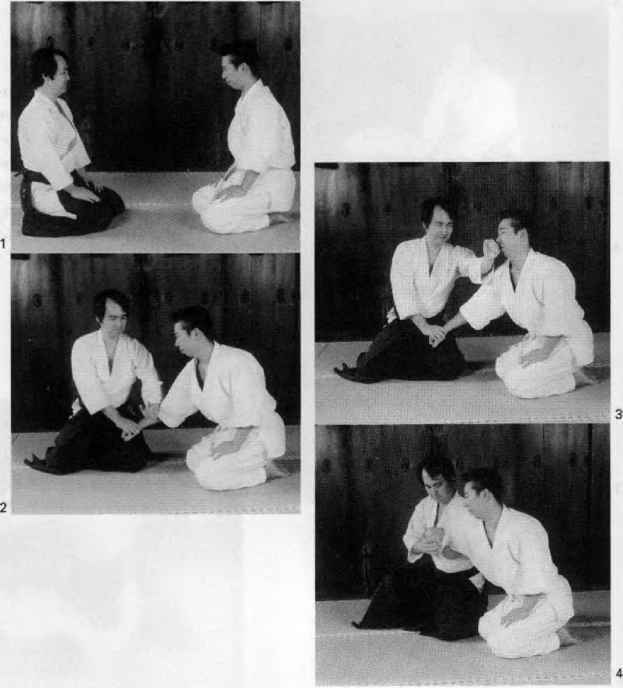 Irimi-nage is the enter body projection (throw) and is a special technique of Aikido. When your opponent catches your right wrist with his right hand, keep your right arm straight. 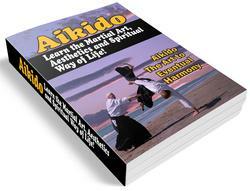 Step in with your left foot into his rear side, your left hand encircling his neck. You are now the centre of the movement, and, stepping backwards with your right foot so that he is on the outside circle pull him into your right shoulder. Hook your right hand under his chin and throw him down. Most of the control comes from your grip on his neck. Try not to use strength catching him, otherwise he will resist you more easily.